Things at Bacchus HQ over the past few months have been, to say the utmost least, dour. Life has been a progressive march downhill for awhile now. My health has been steady, and okay, but tumultuous in terms of the future and what my surgeon wishes to see accomplished and how to accomplish it. I have been out of work for coming up on two years now, thanks to these medical problems, and every application, lead, and job I've applied for has either dead-ended or lead nowhere. On top of that, I am now picking up my insurance payments on COBRA, which are $525 a month. And I can't switch to ACA plans because the hospital I use doesn't accept them (which I found out yesterday). Also, thanks to Congressional inaction, the Emergency Unemployment Compensation program has lapsed and I no longer receive funds and have not since December 29th. Well, technically since October. Misinformation and lack of awareness meant that my unemployment claim lapsed in September and, upon resubmitting a claim, I am now under investigation by a NYS adjudicator because I filed for a D.B.A. And said adjudicator that hasn't done anything. And I can't get through to them because apparently NYS has never heard of "hold". It just hangs up. What IS that? Suffice to say...it's been pretty grim. I've been severely depressed. But lo, what strikes upon the midnight's shroud? A shining star, a bright beacon in a realm of shades. My copyright claim! As you can see below, this nifty little certificate came in the mail a few days ago. And with it, a warm fuzzy feeling. In September, I decided it was time to file for a copyright claim on my thesis so that I can start sharing it with people. It is a source of some pride for me (although, after going over it for the application process I realize that it's not as good as I remember). My thesis for my MSc was entitled "Oak Alternative Wood Maturation with Basis In Historical Precedence". It was a literature analysis and chemical analysis of four historically pertinent (to the UK) woods that were widely used, imported, and bandied about through the beverage industry for the containment of various alcoholic fluids. There had been people interested in reading it and, honestly, I didn't feel totally comfortable sending them a document that only I and two people in the UK had seen and that only one institution had a copy of. So I decided the best course of action was to get that sucker copyrighted. And that's exactly what I did. So, I guess this post serves as kind of an update as to where I am as well as what I've been doing. I'll be taking the necessary digital precautions to secure my work and sending it off to those interested in reading it. This also means you guys, as well. If it's something you seem interested in and are willing to slog through about 40 pages of literature review and textbook grade chemical analysis of wood maturation and aldehyde reactions in exotic wood, then by all means feel free to email me. I won't be handing it out to just EVERYONE so plead your case well. I might try to shop it around and see if anybody wants to pick it up for a journal or magazine. Also, a very important note. While deciding on what to title this post, I had to listen to Missy Elliot's "Get Ur Freak On" which, while a fantastic song, is grammatically incorrect. 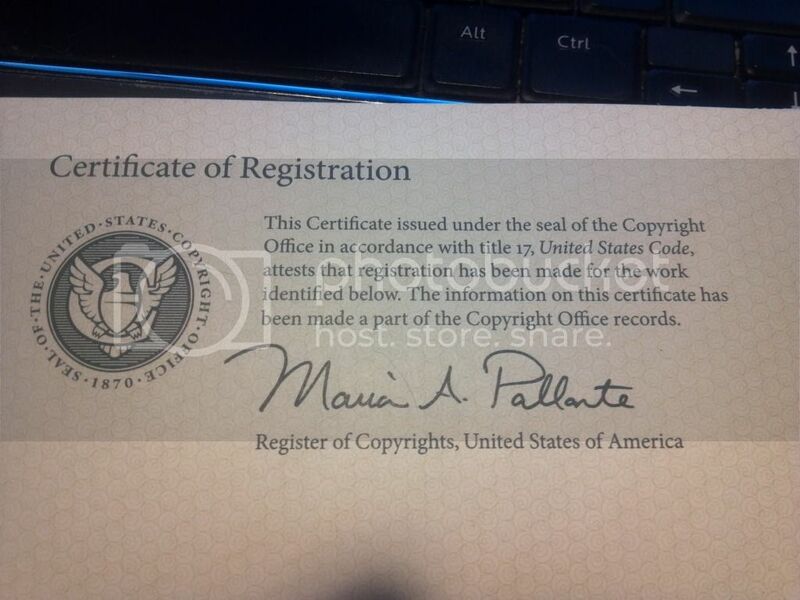 It's "copyrighted", Missy, not "copywritten". Shame on you. Also, "Gossip Folks" is better, lyrically. But that beat is sick, I'll give you that.